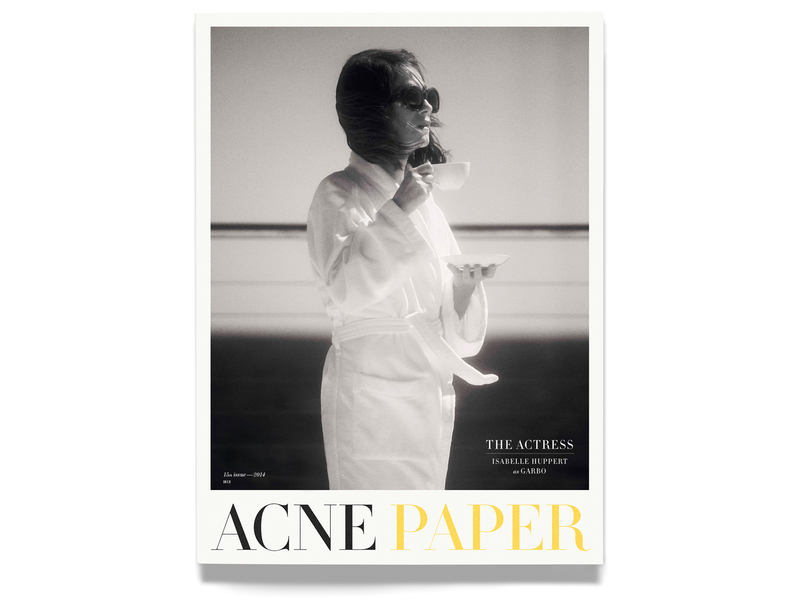 Acne Paper 15th Issue — Isabelle Huppert photographed by Andreas Larsson. SCREEN TEST — Fashion story by Daniel Jackson. Styling by Mattias Karlsson. 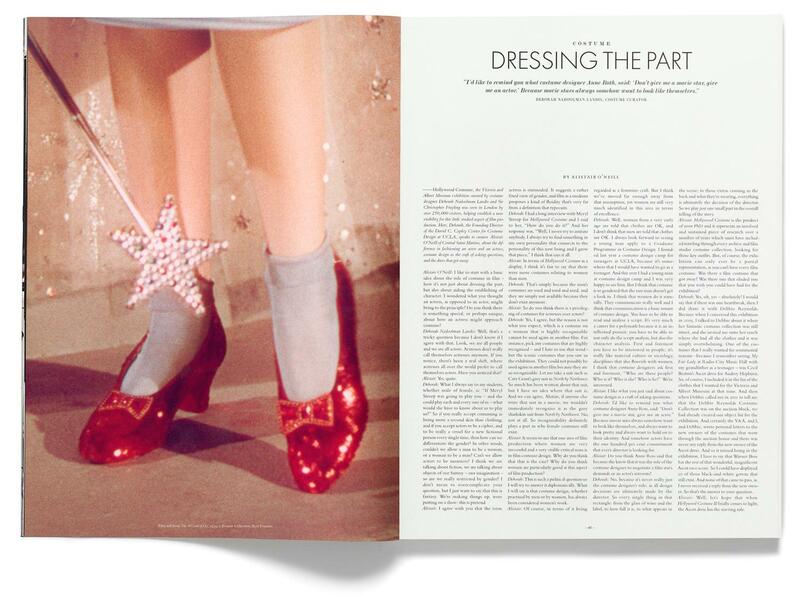 DRESSING THE PART — Interview with costume curator Deborah Nadoolman Landis by Alistair O’Neill. 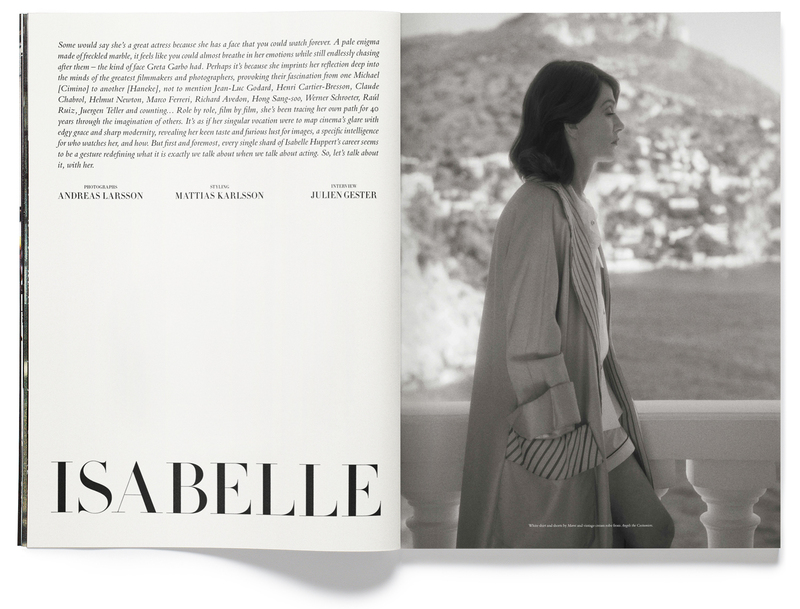 ISABELLE — Isabelle Huppert in the role of Garbo, photographed in Cap d'Ail by Andreas Larsson. JUST ONE MORE THING! 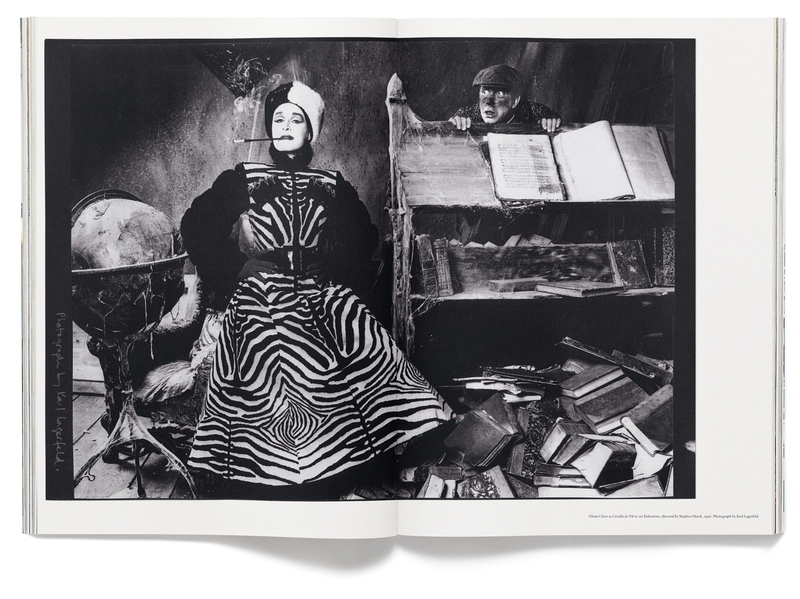 — Interview with costume designer Anthony Powell by Professor Louise Wilson of Central Saint Martins. PURE PORTRAITS — Portrait photography portfolio of twenty-eight leading actresses from the archive of Brigitte Lacombe. In conversation with Gini Alhadeff. 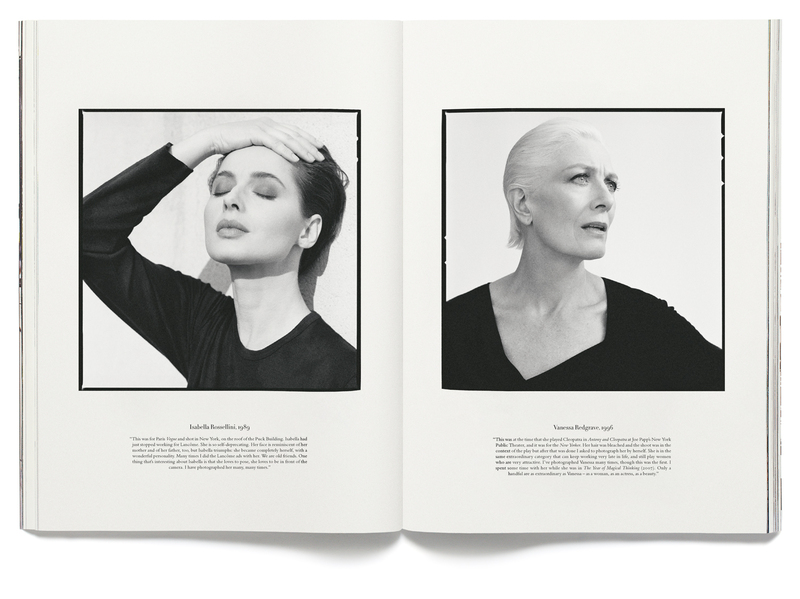 Isabella Rossellini and Vanessa Redgrave by Brigitte Lacombe. KRISTIN — Interview with Kristin Scott Thomas by Nicolas Winding Refn. Portraits by Katerina Jebb. SIRENS — Fine art photography portfolio curated by Michael Hoppen from the Michael Hoppen Gallery, London. 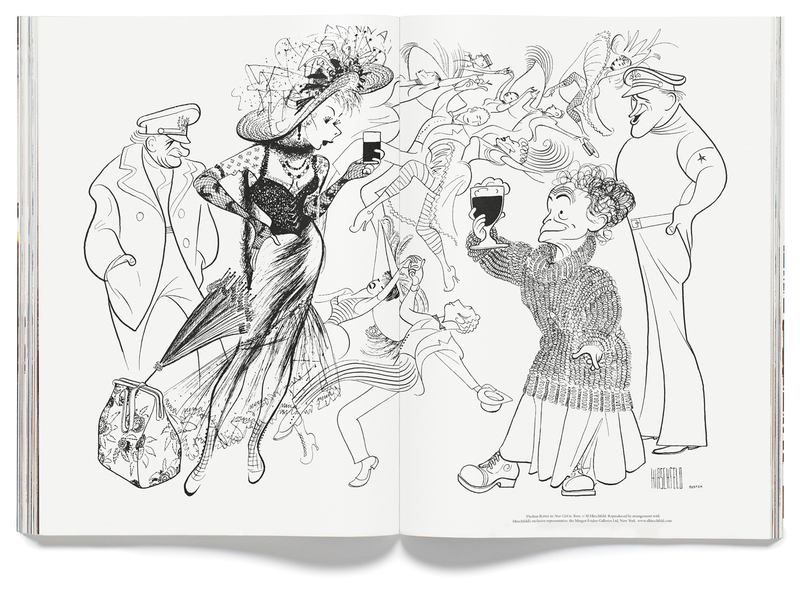 EVERYTHING BUT THE BLOODHOUNDS — Essay on supporting actress Thelma Ritter by Jan Stuart. ALICIA — Portrait story with Alicia Vikander as Marlene Dietrich photographed by Paolo Roversi. 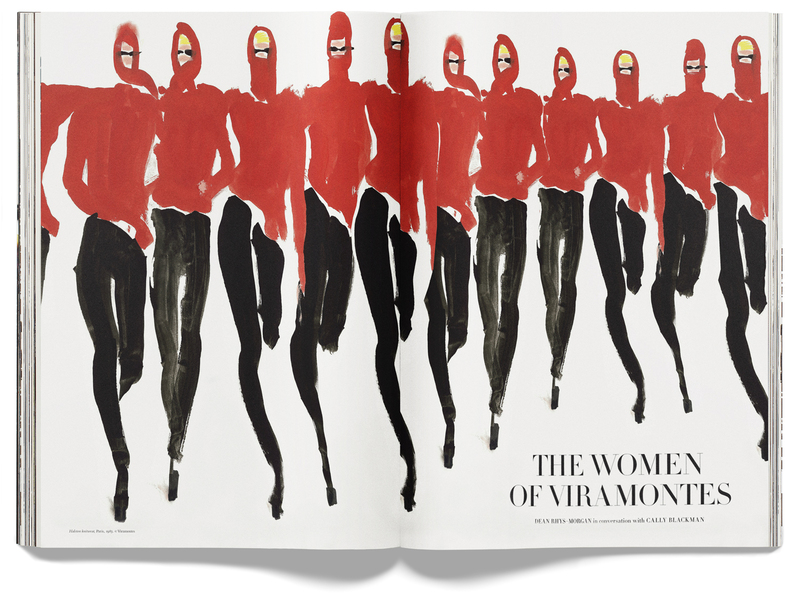 THE WOMEN OF VIRAMONTES — Drawings by fashion illustrator Tony Viramontes. Interview with Dean Rhys-Morgan by Cally Blackman. 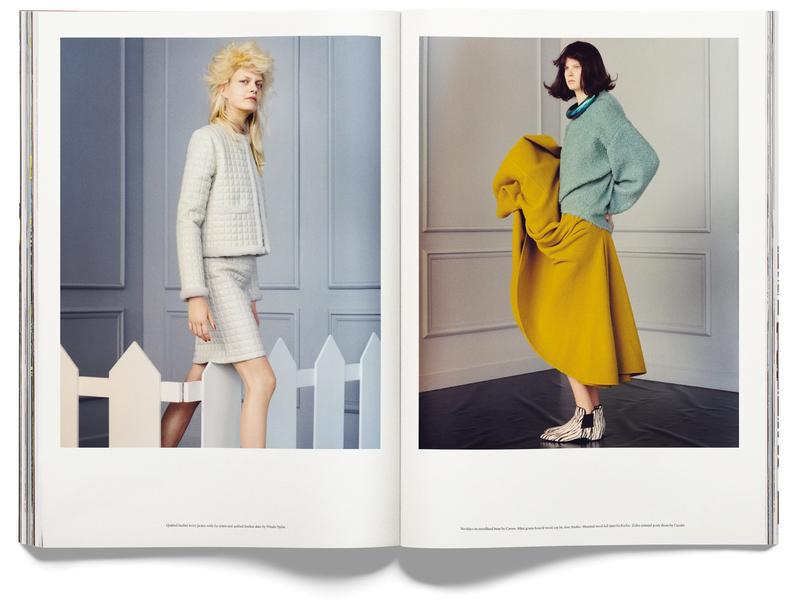 HIT THE ROAD TO DREAMLAND — Fashion story photographed by Jamie Hawkesworth. Simone de Beauvoir, Liv Ullmann, Patti Smith, Mia Mask, Ally Acker and Susan Sontag. 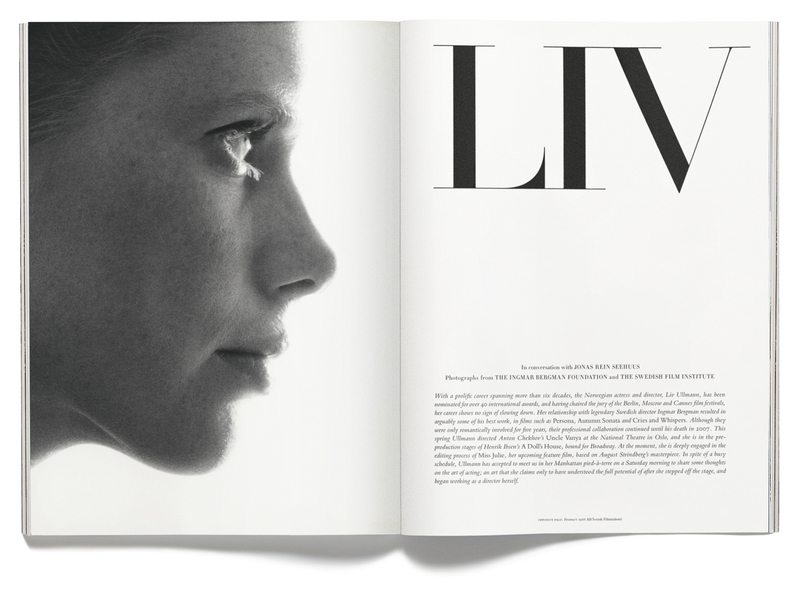 LIV — Portraits of actress and director Liv Ullmann from the Swedish Film Institute. Interview with Jonas Rein Seehuus. 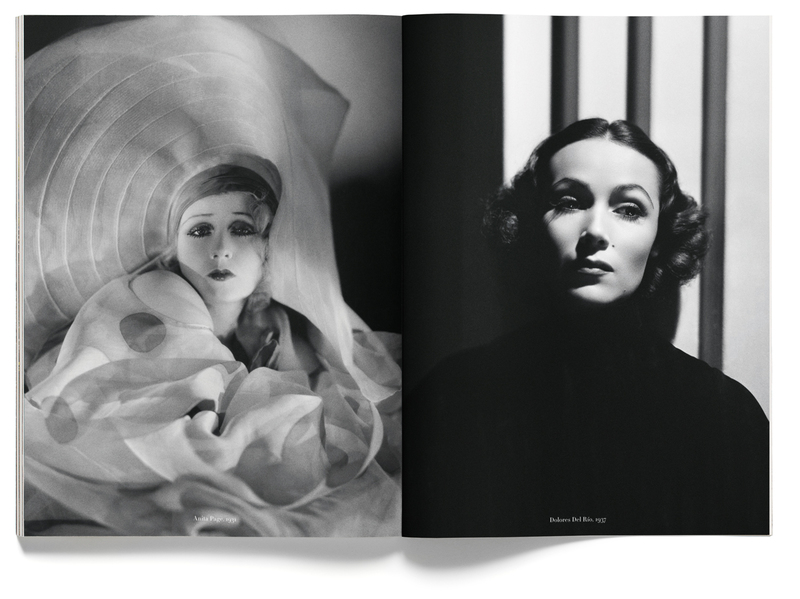 THE ILLUSIONIST — Opening and closing portrait portfolio from the Golden Era of Hollywood by photographer George Hurrell. 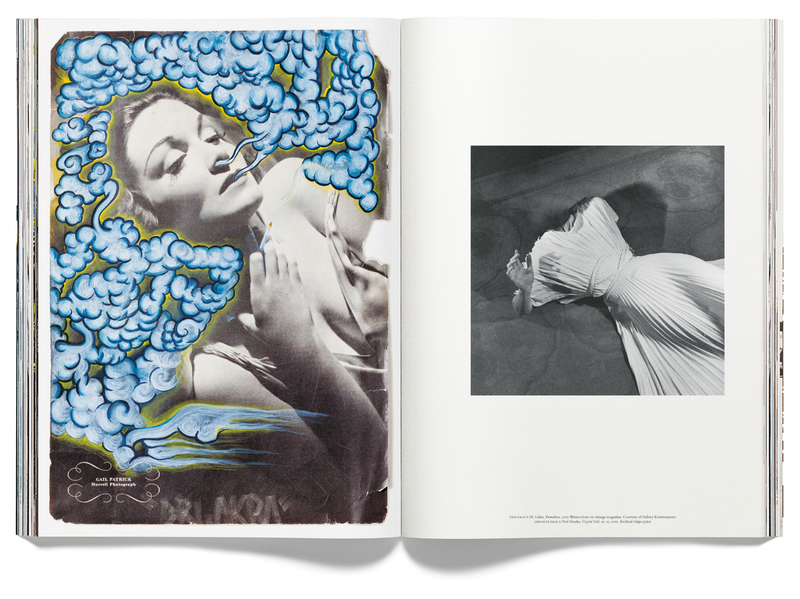 Interview with art dealer Grier Clarke by Duncan Campbell.